Operator is a symbol that is used to perform operations on operands. 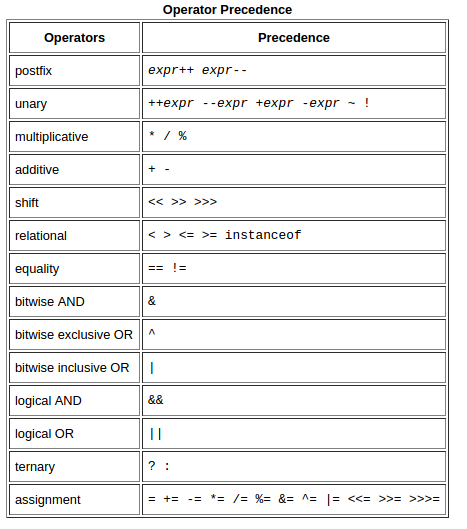 There are many types of operators in java such as unary operator, arithmetic operator, relational operator, shift operator, bitwise operator, ternary operator and assignment operator. Integer types varaible can hold whole numbers such as 747 and −196. The size of the values that can be stored depends on the integer type that we choose.